It's Monday again! My work week is going to be crazy ~ at least for the first few days as we work toward a deadline on Wednesday. I'm still hoping to be able to relax in the evenings with a book. Last week, I wrote two reviews. One was a fun picture book called Harry and the Hot Lava by Chris Robertson. The other was a new contemporary novel called One Plus One by Jojo Moyes. I really enjoyed both of them, so check out my reviews! This week, I have one review scheduled for Tuesday. I hope to write another for later in the week too. 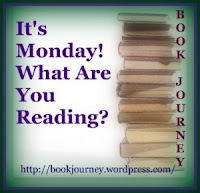 I finished reading Orphan Train by Christina Baker Kline. This was an excellent novel about the orphan children who were taken from the city in the early 1900s and put on a train to the midwest, where they were given to basically anyone who wanted them for whatever reason ~ whether to love as their child or to put them to work. I hadn't heard about this before, so it was definitely an eye-opening novel. 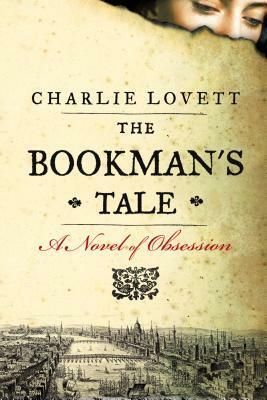 I'm now about halfway through The Bookman's Tale: A Novel of Obsession by Charlie Lovett, which I am enjoying. I'm participating in the High Summer Read-a-Thon hosted by Michelle at Seasons of Reading this week, so I'm hoping to finish The Bookman's Tale and then I'm thinking about reading the first book or two in The Land of Stories series by Chris Colfer that my son read. C read The Adventures of Tom Sawyer by Mark Twain. It was the Junior Classics version that we picked up in the $1 section at Target. He really liked it and started on The Adventures of Huckleberry Finn (also the Junior Classics version) as well. M hasn't been reading much this week. I think I'm going to take her to the library and see if we can find anything that piques her interest. I may see if I can find a graphic novel or something short but interesting. She really shies away from chapter books. She says they take too long to read and aren't interesting. If anyone has any recommendations, let me know! Looks like you had a good week. I have the Orphan Train on my Kindle but haven't had a chance to read it yet. Come see my week. Happy reading! I hope you get to it soon! Thanks for stopping by! I really liked Orphan Train as well. I learned a lot about something that I did not know had happened in our history. The Bookman's Tale looks interesting too. Have a great reading week! The Bookman's Tale is very interesting so far! Another that I'm learning from as well. I have to look for The Orphan Train. So many positive reviews on this book. Yes, I haven't heard anything bad about it. My book club will discuss it next week but I'm going to miss it. I am curious if everyone liked it. I have Orphan Train in my sunroom waiting to be read! How old is M? Has she read Flora & Ulysses yet? Babymouse? Thank you for the recommendations. I'll look into those. She's 7, going into 2nd grade with a higher reading level (end of 3rd grade). I pulled a Bad Kitty book from C's shelf and she loved it. So I just ordered two more! I loved Orphan Train, and One Plus One is on my wish list. Good luck with your work projects! I haven't read anything else by Moyes but now I'd like to! Thanks for visiting! Have you tried the Branches books for M? They are chapter books, but with really short chapters and they still have some pictures. David liked the Boris series and the Looniverse one. Thank you! I'll definitely look into those. That's a great idea! I worked with M and a small group of kids in her class last year on fractured fairy tales, and they loved them. I'll look into some of those. Thank you!! As usual, so glad you're joining us. The Bookman's Tale sounds interesting. I'll have to look that one up. Good luck with your goals. Happy reading! I loved The Orphan Train too. Her newest book is good - Sweet Water. I have The Bookman's Tale on my shelf. I will have to "dig" it out. I'd love to read Sweet Water at some point! Thanks for stopping by! Thank you. I'll look into it!